I don't know what Ivy and Catwoman are doing on the cover, but they weren't in this issue at all. Stunning cover art by Guillem March as usual though. 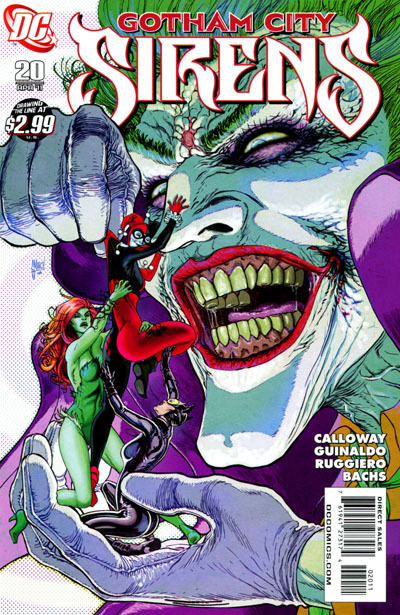 So issue #19 ends with Harley finally snapping and deciding to go after the Joker for everything she's had to put up with during the course of their relationship. 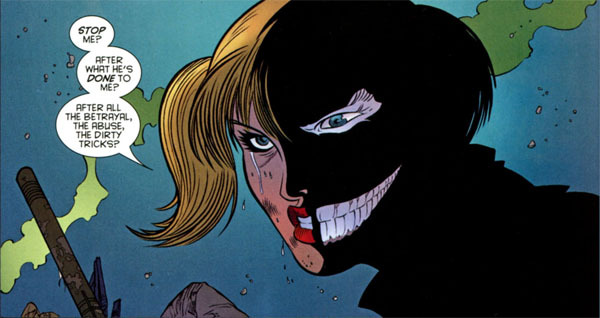 The thing about Harley Quinn is, it's so easy to just picture her as the token fun-loving, ditzy blonde of the group. What we tend to forget is that before she fell in love with the Joker and went loony, she was Arkham Asylum psychologist, Dr. Harleen Quinzel. The Harley Quinn in this issue is cunning, strategic, a tad bit cruel and written with a depth that I've never read or watched before. 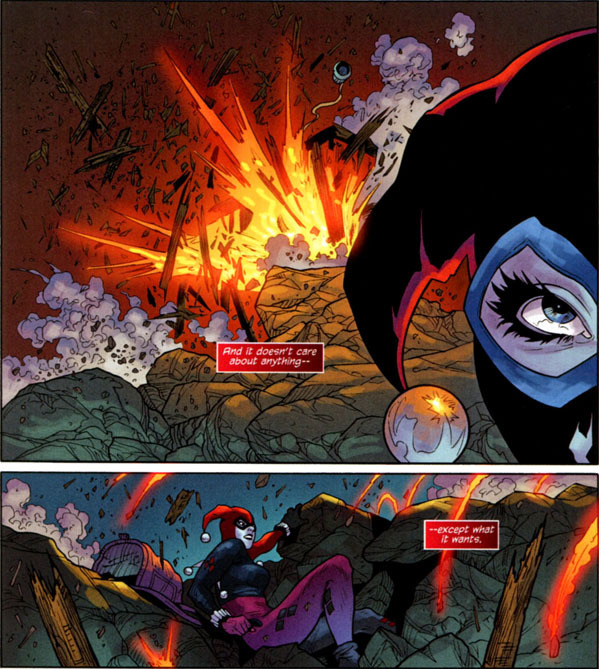 Here, we see Harley as a psychiatrist and how she uses that to her tactical advantage. Now, I can't count the number of times I've gotten frustrated and sworn off Gotham City Sirens only to pick up the next issue when it comes out, but #20 makes me glad I haven't completely given up on it. Here's hoping the rest of this story arc doesn't disappoint. Nice pics. Did you scan them? They're not my scans haha!